We'll get your freight across the border in half the time! The Free and Secure Trade (FAST) program is for commercial clearance designed to safely and securely expedite shipments across the Canadian & U.S. borders. Being a FAST member and a Bonded Carrier, it gives us the advantage to get your shipment across the border quickly and safely, with very little delay. We are also a member of the Customs-Trade Partnership Against Terrorism (C-TPAT) which is widely recognized as one of the most effective means of providing the highest level of cargo security in the United States. Being a C-TPAT member means our shipments are 4 to 6 times less likely to undergo an examination. That means it arrives at the destination faster! If you ship to Canada, we're here to help. 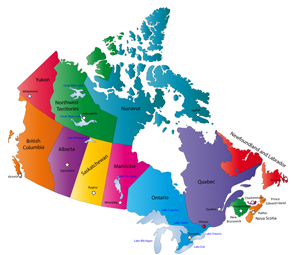 We have a specialized Canadian Operations team who are proficient with cross-border runs and ensuring all necessary documentation is properly completed to get your shipment delivered promptly!